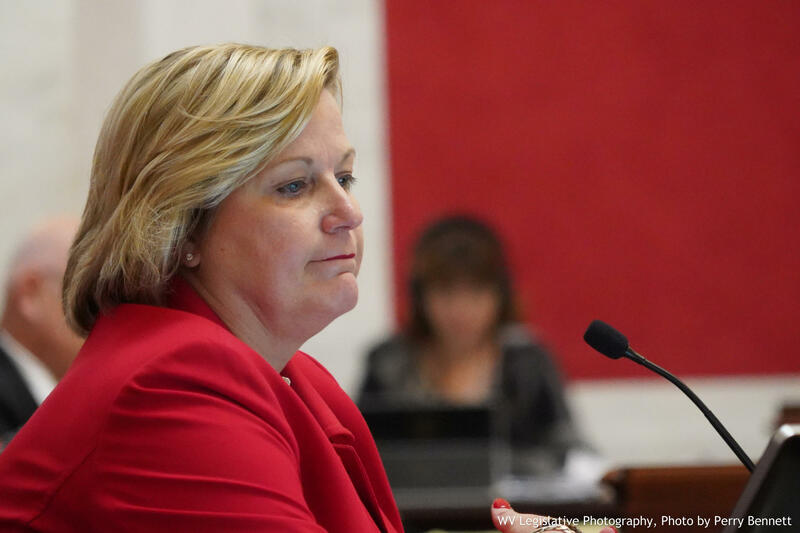 West Virginia Supreme Court Justice Beth Walker has been spared in her impeachment trial and will remain in office. The verdict came Tuesday after Senators deliberated for more than an hour over one article of impeachment accusing her -- and three other justices on the state's high court -- of maladministration for failing to hold on another accountable in a nearly year-long scandal involving court spending. The vote was 1-32, with Democratic Sen. Stephen Baldwin being the only vote in favor of removing Walker from office. Senators, however, approved a resolution to publicly reprimand the spared justice. "I am looking forward to rolling up my sleeves and getting back to the very important work of the court --deciding cases fairly and impartial and according to the rule of law," Walker said outside the Senate chambers just moments after her acquittal. Walker, who spent nearly $131,000 on office renovations -- far less than other justices -- pledged to be more careful with court spending in the future. "I think that we have learned a lot in this process. I think, as I said, there are very important policies that we need to implement and we know what they are and I'm going to do everything I can to make sure that happens," she said. West Virginia voters will see a constitutional amendment in November to put the judiciary branch's budget under the purview of the legislature. State lawmakers adopted a resolution in the 2018 legislative session clearing the way for that ballot measure. "It was uncertain until the vote," Walker said when asked if there was any stress leading up to the Senate's decision. Attorneys for Walker said they were pleased with the outcome and had noted throughout the impeachment trial that Walker was apologetic for her role in court spending. "We think that the Senate listened to the facts -- that we asked them to do -- that they were fair body, that they were just and we handled this the way it's supposed to be under the Constitution," said Walker's defense attorney, Mike Hissam. Senate President Mitch Carmichael (R), who voted against holding closed door deliberations before voting whether or not to remove Walker from office, said those discussions were swift. “There was a free exchange of ideas -- and it really wasn't a discussion about evidence or anything. It was more a discussion about process, procedures and the manner in which we move forward -- whether or not we do a resolution of censorship in the event that the respondent was exonerated from the charges,” Carmichael said. Speaking about his vote to acquit Walker, Senate Majority Leader Ryan Ferns (R) said removal from office was a high bar. "There was no evidence presented that justified the high standard of impeachment. You know, there were things that obviously were wrongdoings Justice Walker acknowledged in her testimony. Those wrongdoings, she took responsibility for those wrongdoings," Ferns said. Baldwin, as the lone vote to remove Walker from office, saw things differently. "I came into this wanting to listen to the evidence and see where the evidence led and, for me, this was a judgment call. Maladministration is a judgment call that everybody here had to make as an individual -- looks like I'm the only one who made the decision that this rose to the level [of removal from office]," Baldwin said. With Walker being acquitted in her impeachment trial, West Virginia's sole conviction and removal from public office stands with John Burdette, who was convicted in 1875 for using his office for private gain by taking money from banks that stored state funds. Three other West Virginia justices are set to stand trial in the Court of Impeachment, with Chief Justice Margaret Workman's trial slated next and set to begin Oct. 15.